The sun is a benevolent being and a symbol of life and creative power. 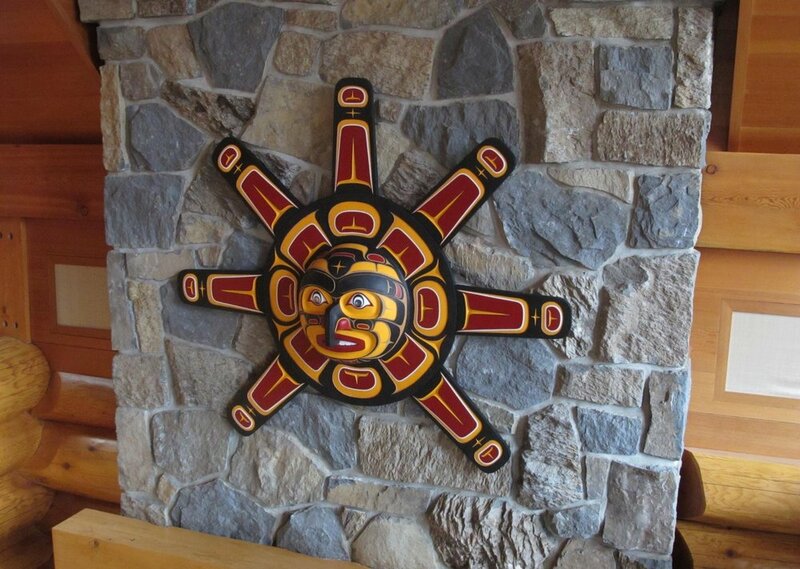 In Kwakwaka‘wakw culture the sun is revered for his manifesting energy. It is said that a single sun beam is strong enough to impregnate a woman. The sun is a being of illumination, warmth and creation. 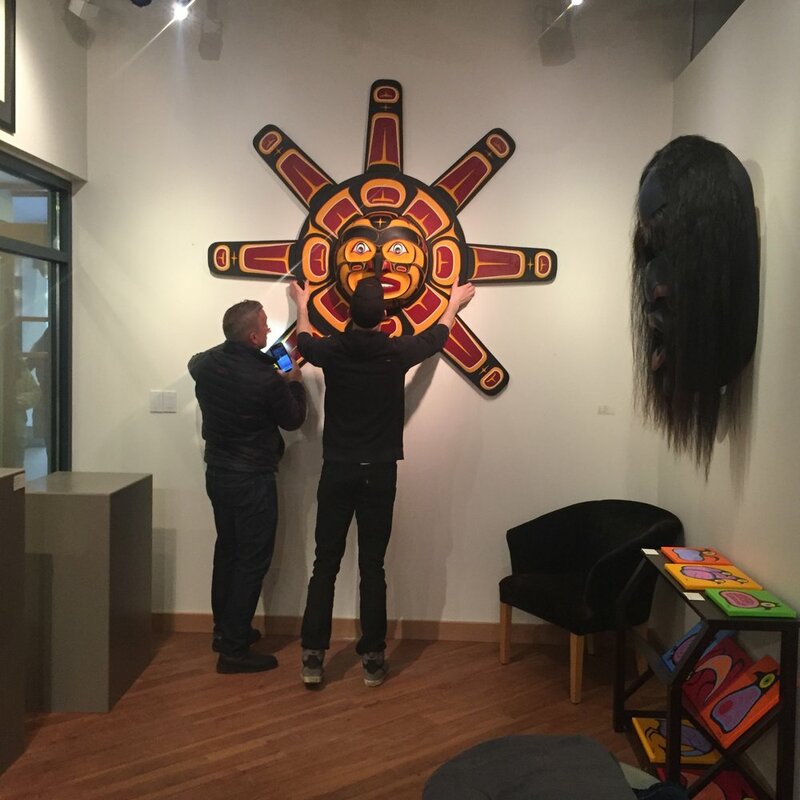 6 feet across, hand painted and carved from western red cedar with abalone.